Fun list and everybody on the boys belongs but the order is hard to understand. #8 Olson and #6 Rowe are faster at state than everybody ranked in front of them except GF. Why are they ranked behind guys 10-30 seconds slower? It's not difficult to compare runners separated by only a few years. To back up the cross country argument, these two are also WAY faster 3200 runners through junior year than the guys ahead of them. How they're not #2 and #3 is puzzling looking at data. Remember that there were many years of rainy, slow State meets. Leal and Sitler were both top 10 at Footlocker. Tim Nelson was a 3 time State meet champion and 2 time Footlocker qualifier. all great runners but the order is off. they may have been trying to balance a few runners from each part of the decade or accomplishments were jaded by college accomplishments? i've seen every boy on this list compete and there is no way #2 Yong Sung Leal could have run with Rowe or Olson. Great catch to mention Clara Horowitz on there. She turned pro 2-3 years ago, but I haven't heard a whole amount from her. How is she doing? Why is Jacque Taylor ranked ahead of Tori Tyler? Thanks for all the comments. I tried my best to find the 10 runners that belonged on each last. You can definitely argue the order as some of you have already. As I mentioned before, I tried to look at only their cross country success in high school only. I looked at section and state meet titles as well as Footlocker and Nike Nationals success. Jacque Taylor is ranked ahead of Tori Tyler because she placed in the top 5 at state during her four seasons which includes a state championship this past season. Did Shannon Rowbury ever do much in cross country? Cross country success only, Rowe and Olson should be ranked second and third. Just a quick comparison of Crystal, Toro, and Woodward all time lists show Rowe ahead of Sitler on all three lists. Yong-Sung Leal was a 2 time NCS champion. He has the fastest time on the Hayward course for any NCS race by 10 seconds over the next best runner. He was also a 2 time state champion. I am sure if I dig deeper, I could find more but that's a pretty good start. yes this list is fun but also agree the order is off. Look at current times, track or cross country and get used to the fact that CA and the US is way faster than just five years ago. No matter what he did at state 8 years ago, Leal would have gotten about 10th last spring at the state 3200 and he would have won zero state titles in today's environment. It's way tougher and faster now. 8:55 juniors Rowe & Olson would smoke everyone ranked in front of them except Fernandez and probably will both go sub 8:50 this spring. I know these are track times, but their cross country times are faster also, much faster in some cases. Remember, these lists are based solely on the success of each runner during their cross country seasons. leal was HOT. so was german. where have all the hot guys gone? Ale Barrientos and Alex Dunn both State Champions and also both Footlocker Finalist. Alejandra Barrientos qualified to the Footlocker Nationals and had her best seasons in the 90s. Alex Dunn should definitely be considered for the top 10 list. Why Alex Dunne? Didn't she run for San Clemente? Isn't that south? Alex Dunn of San Lorenzo Valley. Melissa Grelli of Presentation is another good addition to the girls' list. She finished in top 3 at the state meet three times including an individual title in 2002. She also qualified to the Footlocker National meet in 2003. Any more runners that should be considered? Alex Dunn Of SLV should be on your List for sure after looking at some results. Brett Gotcher highest places were 5th 2000 in 15:31 and 3rd 2001 15:47 at State also a Footlocker qualifier. Ben Sitler 4th 2004 15:31 and 2nd 2005 15:29 also A footlocker qualifier. Alex Dunn 1st 2002 15:18 and 2nd 2003 15:24 and also a Footlocker qualifier. Now in the last couple of years footlocker is not quite as deep since they now have the Nike Nationals so the strategic parts would be a little different now. Which takes the fun out of it on qualifing. The discounting point has merit however, how do the times of the girls with one or two impressive seasons stack up against the times of the others? 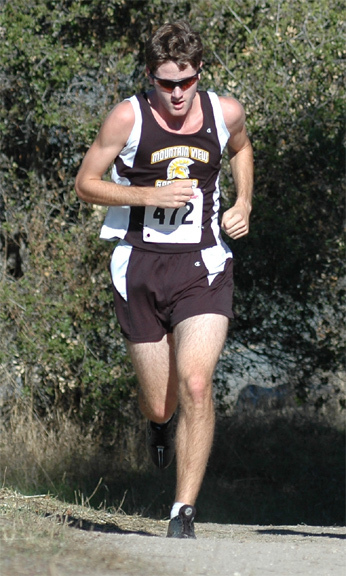 Sumpter holds more local course records in the Redwood Empire including Taylor's home Martinelli course. I believe Trotter has similar records in her neighborhood. Remember Ukiah's course has been used for the State meet in the past. Trotter's years were so amazing that she could possibly be considered the greatest XC runner of all time. My bad, NCS was at Ukiah not State. What about Julie Nacozi of Montgomery High? And Reesey Byers of Santa Rosa High? I will add 5 more runners (honorary mention) to the list for both boys and girls. Some of them have been mentioned already. Are there others? Thank you to all of you that have contributed to this great discussion. It's good to see Aldridge added to the honorable mention position. But based on a four year performance,she had a much better over-all performace than Sumpter. I think the two should swap positions. I've been out of town traveling, so just now getting back to read all this good stuff. To answer a question early in the comment section about Shannon Rowbury in XC - her best finish was 2nd in 2000 (17:52). 5th in the mud in 2001. Her other two cross country state meets were in the '90's. She did not ever run a post-season cross country meet (i.e. Foot Locker) partly because the Western Regional always fell the day after our school's Winter Ball. Thanks Andy for chiming in. I am planning on doing an all-decade team for track as well for boys and girls in all track and field events. At this point, I think I will have the top 5 athletes in each event going from 5th to 1st. Aldridge does beat Sumpter hands down in anything shorter than 2.5 miles. I think you should make it clear before you rank anything else that this is all just based on solo opinion. People are scratching their heads over the boys cross country rankings. Everything's posted as if it's official and authoritative rather than just one man's opinion on a blog. For the CCS girls... Tori Tyler is an obvious choice. #2 from the CCS would have to be Jennifer Bergman. She ran 17:16 at Crystal (11th fastest ever and third fastest time of this decade) and is in the top 10 all-time at State for D3 and D4, not to mention 6th place finish in the FL west region. Julia Stamps ran in the 90s. Wrong decade. Ron Harvey in 1979 at Skyline High School ( Oakland) High jumped a record 7' 1/2" in a dual meet against Fremont High School ( Oakland). He finished the year undefeated and as "All Northern California" high Jumper (Lee Balkin was all "Southern California that year at 7'3") Ron jumped 6" 10 or higher 5 times during the high school season. He was also the 13th high school person to ever clear 6' 10" at the Fresno Relays earlier that year. He went on that summer to take 2nd in the Mt Sac relays (Univ Open), as well as compete in the USA Junior National championship in Indiana. Ron went on to play football and also high jump at Boise State University. Not too sure he ever ran sub 15:30 at State, but Estafanos deserves some love for sub 14:40 at Crystal and the Toro park course record. Blair hurlock has the NCS Hayward record over Leal. Wyatt Landrum of Liberty I believe ran 14:47 on the Hayward course and qualified to footlocker nationals in 2008. I don't know if he really broke out until senior year. Although I believe he made state multiple times. Anna Maxwell? 17:08 #1 CCS , Nor Cal #5 at Woodward. 17:55 as freshman. Her senior season times are probably enough on their own. O'Keefe is probsbly already on this list. Sorry. I got way too excited about the next decade's team. I will put a predition in. My guess is that Private Veronica Verdon, who is under the guidance of Lt. Lindquist, will lead Chuck's army to despotism of any race they are thrown into. Other teams will quiver at her sight. I will start a new post when I get a moment. Thanks for all the input so far. Reading old comments why was Tori Tyler an obvious choice? The top two girlrunners in CCS from 2000-2009 are not even on the list. Also, has the sport and this site gone so much downhill we now need to recycle old threads 10 years old? Cross Country just ended and Track is not yet on the radar. I thought this would be a good conversation piece before I post the all-decade team from 2010 to 2018. Feel free to add names that you think should be considered and if you feel runners were left off the original post, please name them and their accomplishments. NXN national champion. Who's better? Fernandez 14:24 at Woodward on another level. 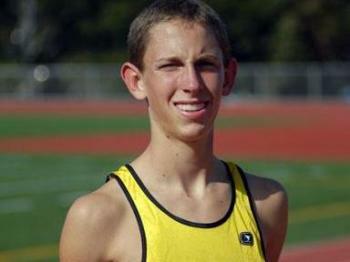 Also Jay Marden Mission San Jose won the 2nd Footlocker nationals how is he not on the list? I coached in the east bay from 1998-2004 & thought Albert's list was very close to spot on. Every name on that list was an awesome talent & achieved great things. The only comment I'll make is in response to Young Song Leal. I've never seen a tougher kid & he could run with anyone. Just ask the kids who had to run against him. Yes, Jay Marden was a remarkable cross-country runner who graduated in, I believe, 1981. Too, bad Leal couldn't continue to prosper after High school, really got the most out his talent.